Ok party people…. 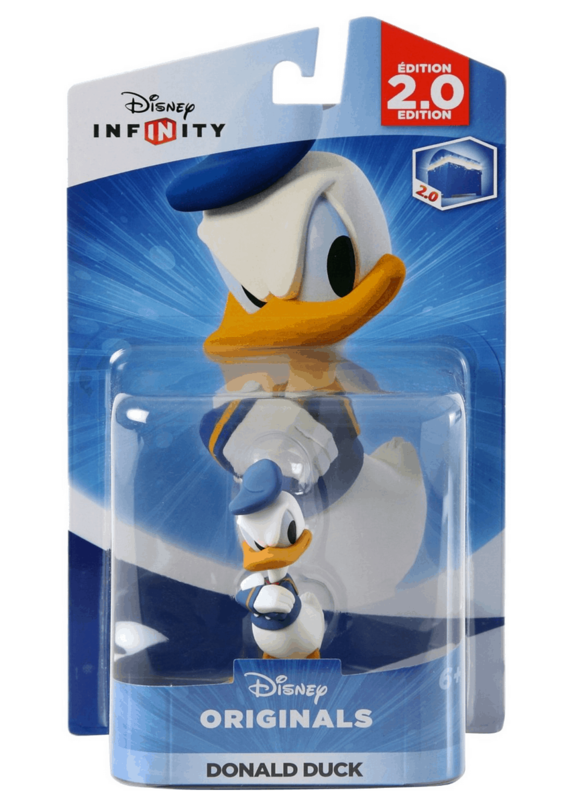 if there is one thing you need to be on the hunt for this Black Friday WEEK (yes, I said WEEK), it’s Disney Infinity 2.0 deals. My kids cannot get enough of this game. I must confess… I’m right there with them taking turns. I LOVE LOVE LOVE the new 2.0 version. 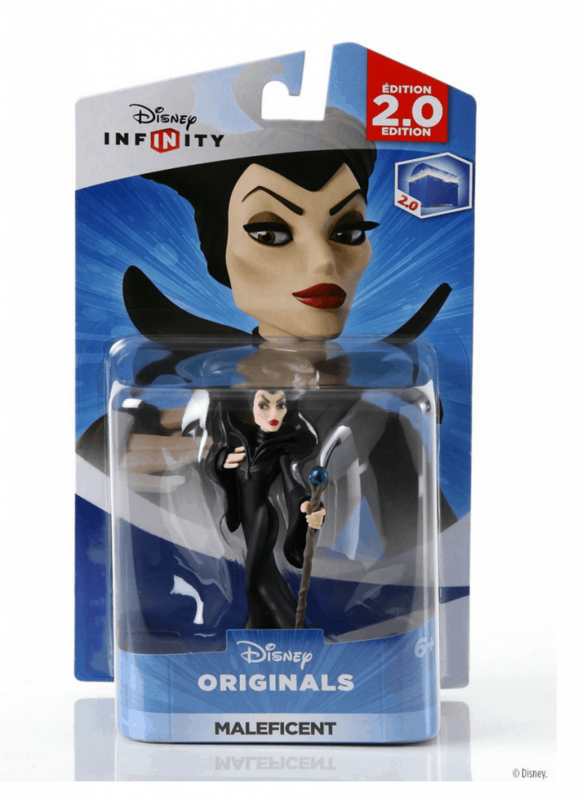 Read ALL ABOUT THE WONDERS of the NEW Disney Infinity 2.0 system HERE. 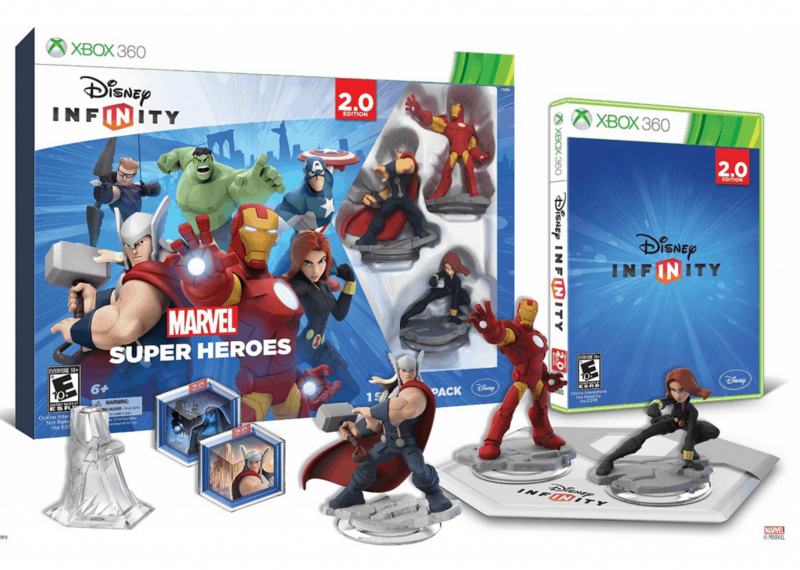 To begin, you need to purchase the Disney INFINITY: Marvel Super Heroes (2.0 Edition) Video Game Starter Pack. 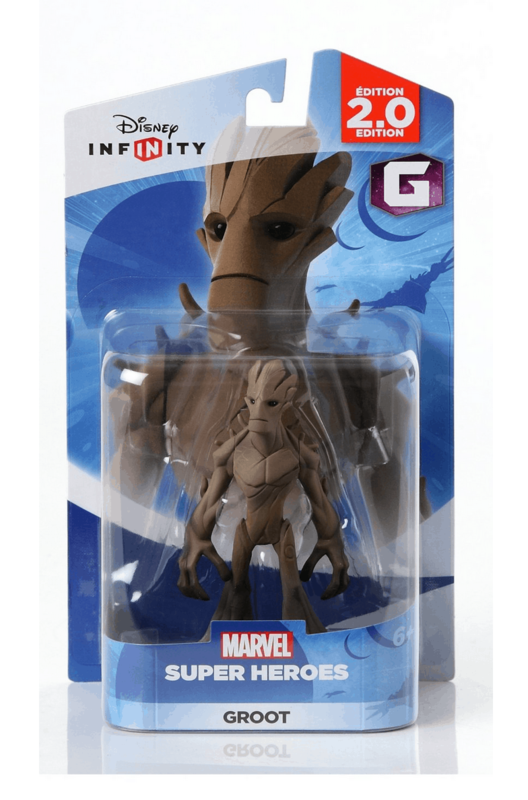 It comes with everything you need to get going – including three heroes, a Marvel world filled with adventure, and Toy Box game discs. Now, I just want you to know that these figures are NOT machine specific. That means that you can buy them and use them on ANY console. Amazing! No need to worry about messing up at the toy store. Do you have the Wii U or XBox 360? Actually… it doesn’t matter! 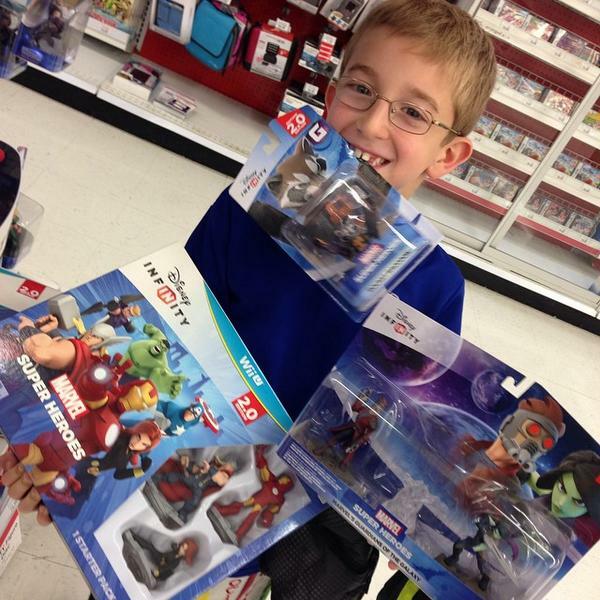 With Disney Infinity 2.0, your kids have the ability to customize their games in the coolest ways! 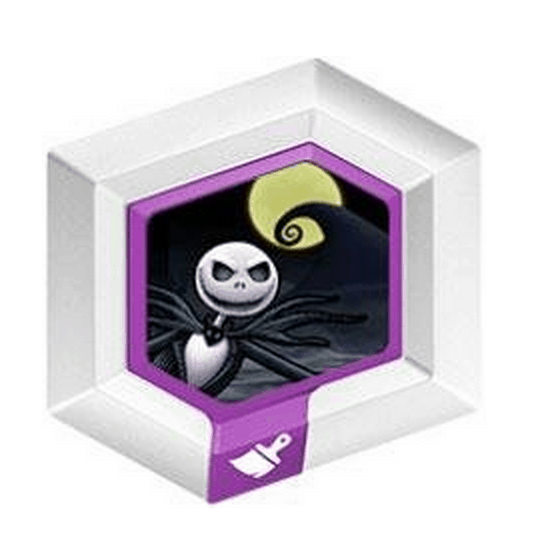 Take this Disney Infinity Series 2 Power Disc Halloweentown Sky. If you place this on the portal, it will change the background of the Toy Box to feel like it’s from ‘Nightmare Before Christmas’. Super FUN! There’s dozens of these to choose from. The kids can really have a blast taking their designs to another level. Circular Power Discs are used to grant your character special power ups that can be used in Play Sets and in the Toy Box. Hexagonal Power Discs unlock special gadgets, vehicles, and themes to allow for even more personalization in the Toy Box. Different combinations mean different results, the possibilities are endless! I have to point this out about the new Disney Infinity 2.0 system. You can download Toy Boxes that are already created!! Click here to check them out. Some of these were made by FANS!! Can you imagine? Someone had such a love for Disney, that they created a killer toy box and the company HIRED THEM TO DO IT AGAIN?! WHAT! If you don’t want to download toy boxes and instead you want to make them on your own, I have great news. 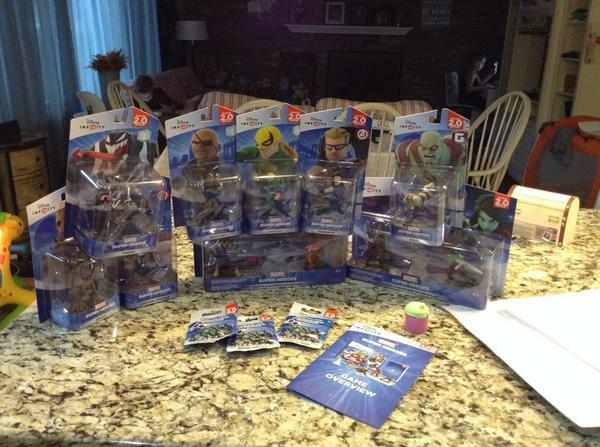 Disney Infinity 2.0 has made it easier! In 1.0, making a racetrack would have been a step by step feat. You would have had to build that track piece by piece. But with 2.0, they’ve added lots of already built designs that are at the user’s disposal. So, you can just plop down a racetrack and then just tweak it to fit your needs. PHEW! Thank. YOU! Want a sneak peek at the Black Friday Disney Infinity 2.0 deals? 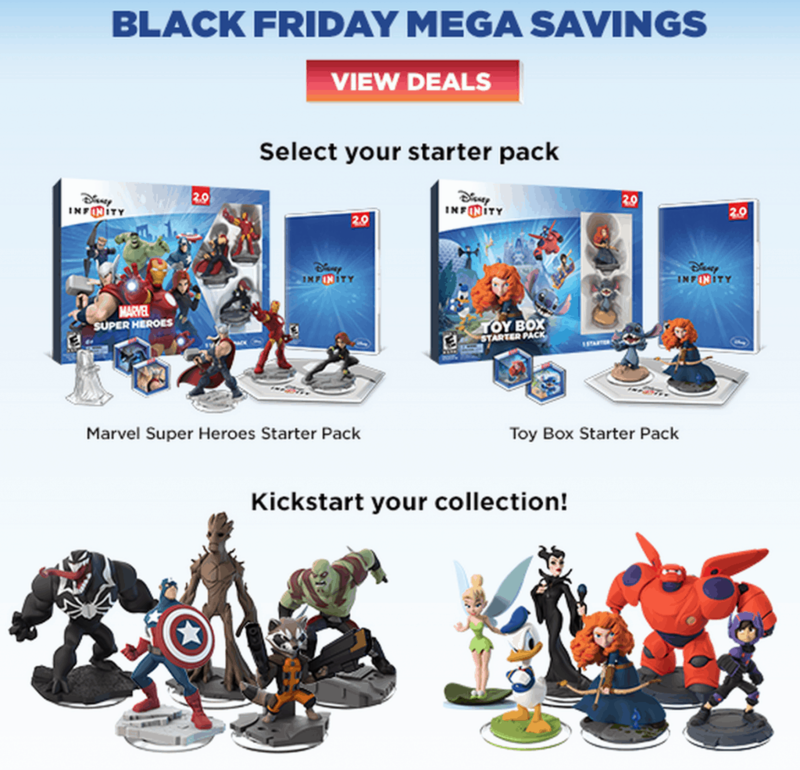 CLICK HERE for All Of Your Disney Infinity Black Friday Needs !! 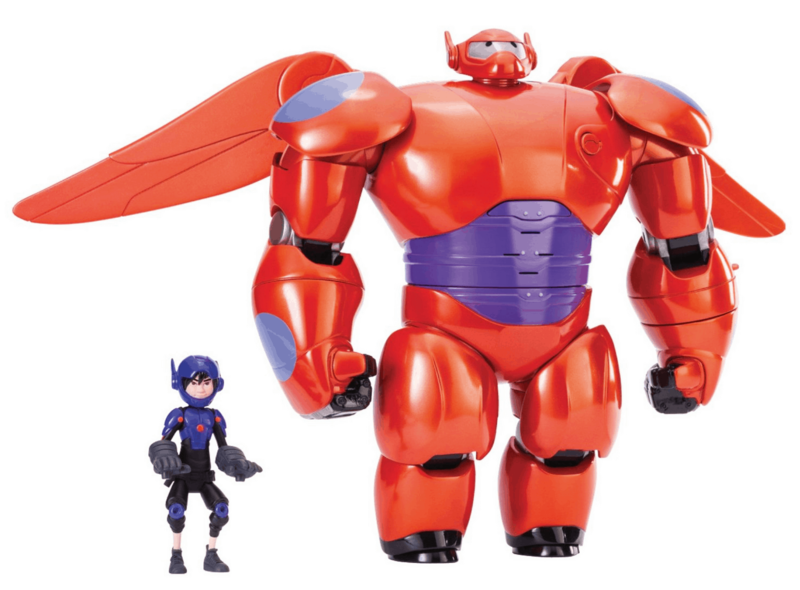 If it’s action you are looking for — in a more tangible way — then what about the Big Hero 6 11″ Deluxe Flying Baymax with 4.5″ Hiro Action Figures. BOOM! Look at this puppy!! I am OBSESSED and so are my KIDS. They LOVE BayMax in his superhero gear. He is large and in charge and features sounds from the movie, lights and 1 firing rocket fist. A must have this Christmas season. Or maybe you are looking for a little fun decor instead? 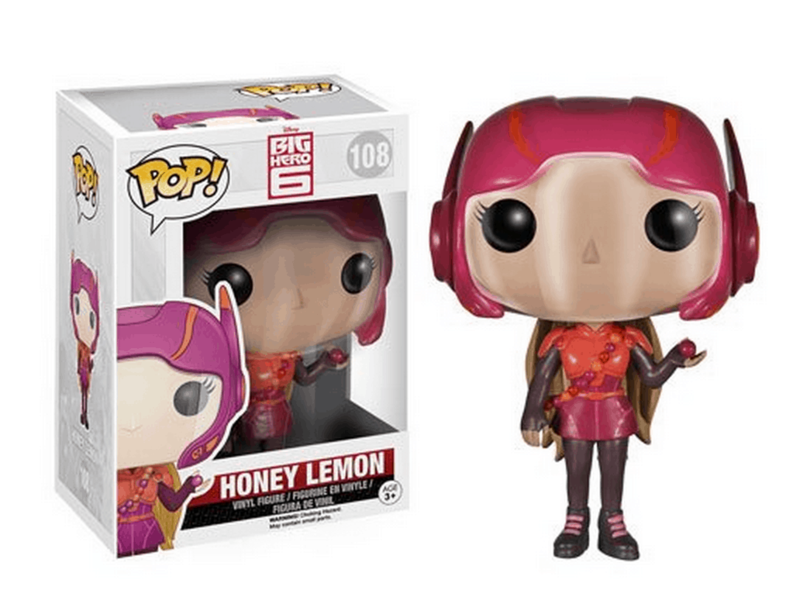 How about this Big Hero 6 Honey Lemon Pop! Vinyl Figure with pop culture flare? Each super hero has their own figure – so choose your favorite and fall in love with the adorable design. SO CUTE! If you want an actual action figure, well, those are available too. 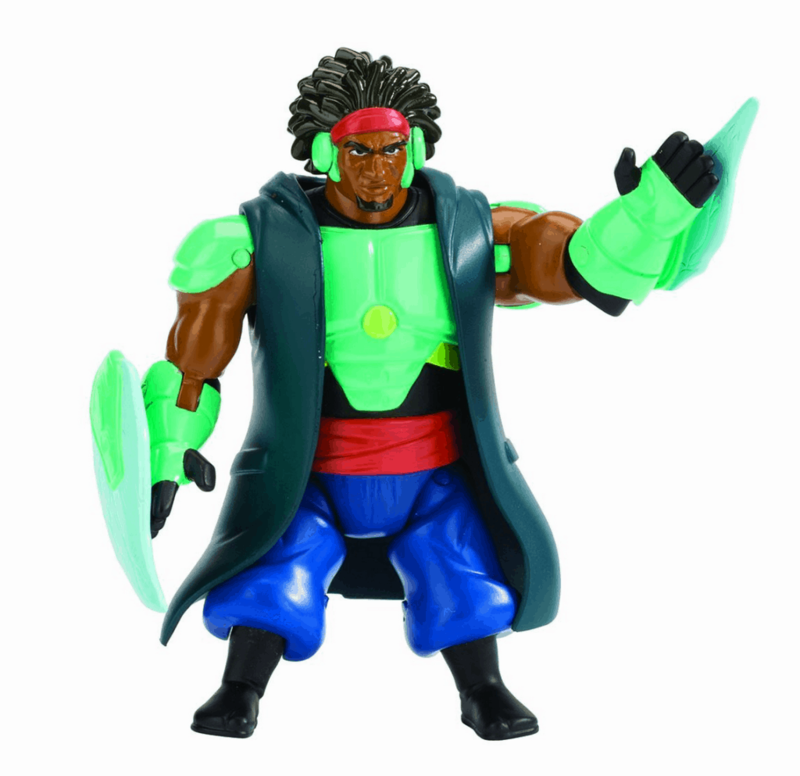 Here’s the Big Hero 6 Wasabi No-Ginger Action Figure. Love that lime green! And you can’t have a good guy without a bad one, right? 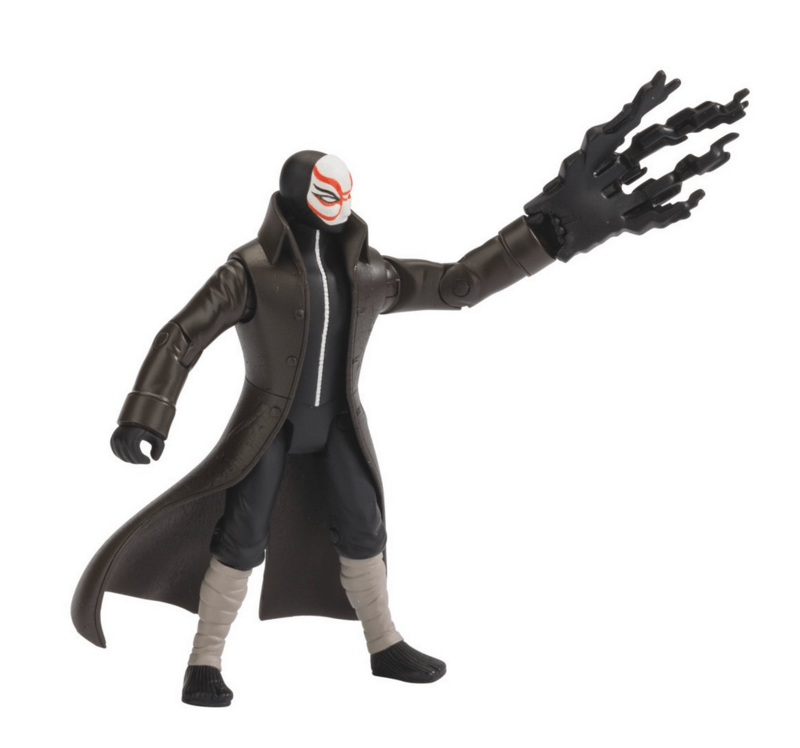 You might as well pick up the Big Hero 6 Yokai Action Figure while you are at it. 🙂 Makes for better fighting sequences. 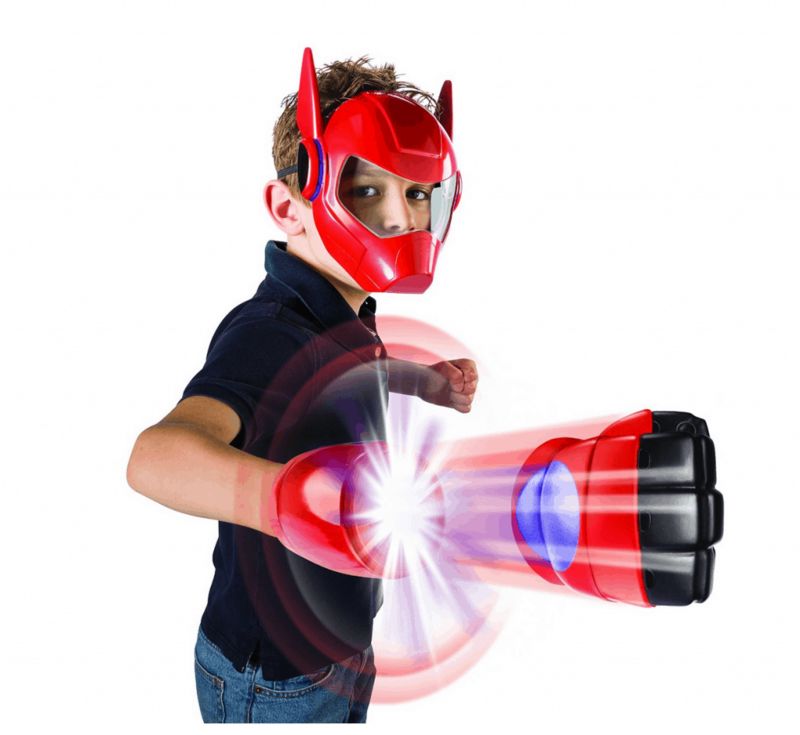 For the kid that is looking to BE Baymax, this is the PERFECT GIFT! The Big Hero 6 Baymax Rocket Fist and Mask Role Play Combo Pack will have them running and racing outside looking for action. LOVE IT! And last but not least, the lovable / squish-able / friendly Baymax we all adore. This one is great for anyone – any age! Disney Baymax Plush – Big Hero 6 – Medium – 15” – heck I even want this!! Which toy is your favorite?? 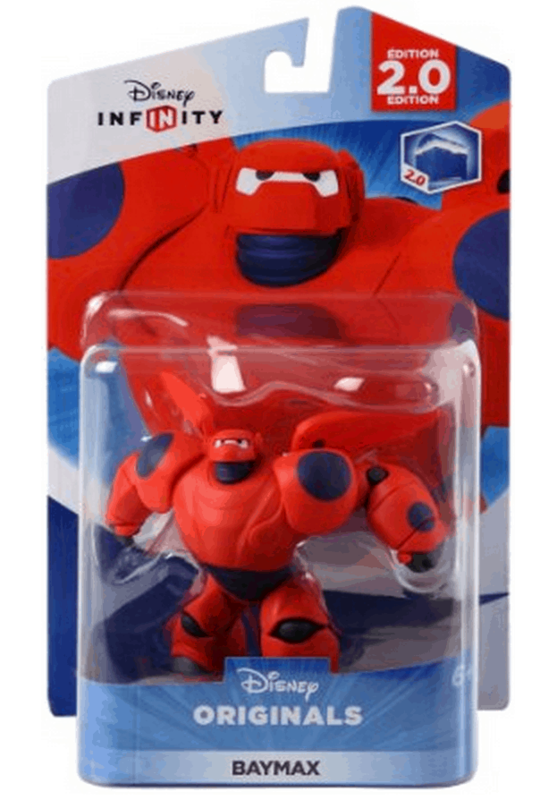 Anyone on your list this year that you think would want one of these Big Hero 6 or Disney Infinity 2.0 toys?